Another rare tee for you collection is available. This week's tee is an orange shirt with cow's head on it! 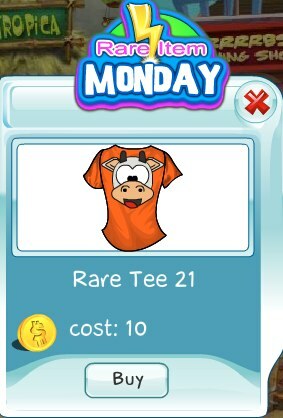 So mooooove on over to get Rare Tee 21. It's available today only and will be gone soon.